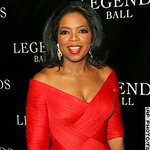 Oprah is turning some of her uplifting energy towards a new prime time reality program, The Big Give. The show, set to air on ABC, offers 10 people from around the U.S. the chance to become great philanthropists. Contestants will strive to find “the most powerful, sensational, emotional and dramatic ways to give to others” as they travel through the U.S. inventing creative ways to help local communities and make a difference to the lives of the people they meet. The winner will be the person who makes the biggest impact with the large amount of money they are given. Eager to get involved in the project, Jennifer Aniston and Jamie Oliver have agreed to feature in one of the 8 episodes, raising as much money as they can for charity.